I had a great experience at Surgical Associates, PC and specifically with Dr. Norris and his staff. I was respected as an important part of their day and had all my concerns addressed. I’ve been a patient of Dr. Krier for over 7 years. She’s one of the most caring, compassionate and understanding physicians I’ve ever met. She goes above and beyond and takes the extra time to listen to her patients. I have been cancer free since 2016 and owe a great part of that to her care and expertise. Thank you for being an important part of my healthcare team! I have been a patient of Dr. Kelly Krier since being diagnosed with rectal cancer a year and a half ago. She performed surgery to remove the tumor in September of last year. In March of this year I had surgery to remove the ostomy. Both surgeries went extremely well. I have had the best outcome possible. Last month, she did my colonoscopy. I am cancer free today and in excellent health. She has had a lot to do with it. I couldn’t be happier with the way she has treated me and my family during my cancer treatment. Dr Norris is the best! I couldn’t imagine a better experience. His bedside manner is top notch and he truly cares! Dr. Hung is an excellent surgeon. He is technically brilliant, very knowledgeable and professional. Great experience with Dr. Hung and his office. Dr Norris was very kind and friendly. I have gotten some rude doctors before, so I was so relieved when I met him. He took the time and care to listen and try to figure out the problem. His nurses are excellent also. I would highly recommend him. Both appointments I didn’t have to wait more than 5 minutes! Surgery was a pleasant experience & I healed quickly. I will be going back to Dr. Hung again for gallbladder removal. Staff is super nice as well. I had a very good experience from the first visit, through my surgery and the follow-up at Surgical Associates, PC. Dr Hung and Oscar did a great job. I highly recommend Dr. Hung, his assistant and Surgical Associates. I was treated so warmly by all with whom I had contact. The best part of my experience was that I feel absolutely great after two weeks from surgery. I am really glad Dr. Hung and his assistant performed the surgery. They are excellent surgeons and very nice people. Dr. Hung and his staff provided me with a life changing event: to assist me with getting control of my weight and extending my life. I was pleased to be welcomed, without judgment, into the staff’s open and caring arms! Lisa, my advocate, provided me with the scheduled specialist visits, kept me up-beat through the process and cheered with me when I was approved. I am so blessed! Go for it! …don’t delay! your life depends it! Dr. Hung is an intelligent, passionate, and caring provider. He does what is ultimately best for the patient in all situations. He is great at explaining procedures and what to expect after surgery. He did my sleeve gastrectomy and he has great resources to dietician support staff! He is very efficient at his procedures with confident in his work! Dr Hung and associates are get professional and polite. They were all very helpful and answered all of my questions. I am very pleased with my experience with Dr. Hung and his staff. Very friendly and welcoming office. Lisa is excellent about answering my emails. I was able to schedule appts around my schedule and that made it very convenient for me. During my surgery Dr. Hung was able to identify a problem that had been causing me pain for over 12 yrs. He took care of that issue in addition to performing my procedure. Pain is gone!! Can’t thank him enough. Oscar made sure to answer all my questions. Professional & Courteous! I own a successful restaurant here in town and food has always been my crutch and weakness especially delicious food! The Lap band has significantly helped me with portion control. It’s definitely a tool not a miracle. You have to work at it and be committed. Dr Hung and the lap band helped me lose 70 plus pounds the first year! (2005) Highly recommend Surgical Associates to anyone willing to put in the work for overall weightloss and health! Dr. Hung repaired a hole in my wife’s colon in an emergency situation at St. E’s. He was very professional in his surgery skills, using a new robotic approach. His PA, Dr. Oscar was very attentive and available to listen to any questions or issues. Lincoln is lucky to have a surgeon of his skills. Highly professional, organized, skilled surgeon. Very friendly & easy to understand. Very pleased with the encounters in hospital & at his office. I recently had my gallbladder removed as an outpatient surgery, Dr. Hung and his assistant were informative about what would happen during the procedure and after. Dr. Hung’s was very soft spoken, friendly, and very friendly staff/ assistant. I would recommend him to anyone. Dr. Hung and his staff have been a godsend to me by getting my health and medical issues back to where they should be. They are very kind and considerate and are there to help whenever you need it. I highly recommend them to anyone. Thanks again. Dr. Hung spotted a tumor on my pancreas when it was still considered operable and probably saved my life. Thank you. He also did an incisional hernia repair that is still doing good. All the associates at the office seemed nice and accommodating. Dr. Fitzke and his staff were exceptional! I had surgery on 12/18/2017 at the Lincoln Surgical Center and the nurses there were fantastic as well. The professional and compassionate approach given to me by the nurses and Dr. Fitzke were very reassuring and appreciated. Dr. Fitzke is an excellent Surgeon that I will recommend to everyone that I come in contact with that is in need of a surgical procedure. The combination of super nice guy with excellent bedside manner, and brilliant surgical skills, is unmatched in the Midwest, and probably anywhere. Dr. Jobst does his homework and is prepared down to the finest details. You can rest assured you’re in the best hands possible for whatever procedure he is doing. His office assistants are also on the ball, and working for you to help you through this difficult time. Dr. Jobst took great care to explain the options to us and to answer all of our questions. He drew us pictures so that we could more clearly understand that would happen. Now that the surgery is over, we couldn’t be happier with Dr. Jobst’s care. Outstanding doctor=outstanding man! His reputation precedes him. He’s not only a brilliant surgeon who does his homework, he’s an incredibly nice guy with excellent bedside manner. I would, and did, trust this man with my life having a right hemi colectomy for a pre-cancerous growth, all while having COPD and being morbidly obese. I was up and about 36 hours later, and had a bowel movement within 48 hours. Now, 7 days later, other than some pain I am functioning almost normally. Thank you Dr. Jobst, I owe you my life. Dr. Taddeucci is a great surgeon. He did an emergency surgery for my son, who had a very uncommon condition. He resolved the problem and my son was immediately better and we have not had any recurring problems for nearly 8 years now and counting. He took time to talk to us, explain the situation and there was good follow up too. About six years ago I was diagnosed with colon cancer and my tumor had to be removed. Dr. Krier explained thoroughly what must be done to save my life, and she performed the surgery beautifully. My family and I can’t thank her enough for her dedication and what she’d done for me, it was like God used her as an instrument to save my life. I am now cancer free and having a quality life with my family. My daughter was only seven years old when I had the surgery and I am thankful that I can live and watch my daughter grows older, all thanks to Dr. Krier. May God bless you and your family and keep you safe, always. Dr. Krier was very responsive to my every question and concern. I called their busy office and was seen the same day. Dr. Krier and her nurse, Brittany and skilled, compassionate, kind and very professional. My surgery was a complete success and my follow up visits were useful and really took away my fears and concerns. I hope I don’t need to go back but wouldn’t hesitate to do so if the need arises. I would highly recommend Dr. Krier. She makes a rather uncomfortable situation at least tolerable. She took time to visit with me and answer my questions. She offers assistance and makes the entire process painless. I had conflicting procedure recommended from a MD and a procedure MD. I went to Dr. Norris for an evaluation. Dr. Norris answered my questions and explained to me what my choices were and why. I made my choice and followed his recommended procedure. It was the right one and all is well. Excellent surgeon! He is caring and compassionate. He did the lap band then later the gastric sleeve. He basically saved my life. The staff is friendly and his nurse Lisa is the best. You won’t find better care anywhere else. I would not hesitate having another procedure with Dr. Hung. I’ve had three similar procedures, so I was pretty certain I knew what to expect, what kind of pain I would be dealing with, and the healing process. But this experience was superior in every way. And painless! That’s what surprised me the most. I found Dr. Norris and his staff to be highly professional in every way and am so grateful it was Dr. Norris who did this procedure for me. I’m still stunned that in the two weeks since surgery I have experienced no pain whatsoever. Dr. Norris was professional, caring, and explained the surgery in a manner I could understand. He and his staff are very positive and conveyed a sense of confidence in performing the procedure. I would immediately choose him again for surgery. I give everyone at Surgical Associates an A plus. Then I extend another A plus for everyone that took care of me at Lincoln Surgical Hospital. Each were professional, caring to my needs, explained everything that I could understand, from the very start to when I left after my gall bladder surgery. No hesitation to recommend Dr. Hung. Terrific surgeon. Dr. Michael Norris exhibited the utmost in Professional Care and skill. His compassion, bedside manner and personal attention were very calming giving me the confidence that a successful surgery was eminent. Also, these same qualities helped tremendously in an expedited, and effective recovery. Dr. Norris deserves a “two thumbs up” for his work and dedication. I can’t say enough good things about this very qualified and talented Doctor. Dr. Hung and his nurse, Lisa, are so kind and knowledgeable. We have had several experiences with Dr. Hung and we trust in his care and guidance. My husband and I have had the lap band surgery with Dr. Hung and also recently my husband had a hernia surgery with him, and each time we were treated with dignity and we felt our questions were answered and our concerns were addressed. We received excellent care! Excellent surgeon, caring and compassionate. He did the lap band then later the gastric sleeve. He basically saved my life. The staff is friendly and his nurse Lisa is the best. You won’t find better care elsewhere. I would not hesitate having another procedure with Dr. Hung. I had a gastric sleeve performed in February. The preparation to have this surgery was impressive. A great team at Bryan Bariatric Advantage led by Dr. Hung, is helping me reach a life goal. My surgery was flawless; no pain, no nausea, no problems at all. I will be forever grateful for this great experience. Thank you Dr. Hung! Dr. Hung is a very caring and compassionate Doctor. He has performed two surgeries for me and I’ve had no post-op issues. I would highly recommend Dr. Hung to anyone! Thank you for your kindness and care! Dr. Hung is terrific. Dr. Hung has performed surgery three times for me, and each time was a positive result and experience. He takes the time to communicate well, and is a pleasant personality. I’ve had experiences w/surgeon’s or doc’s in the past that carried a very arrogant vibe, and I can say that Dr. Hung is definitely not in that category. I would highly recommend him! Dr. Hung is a wonderful surgeon. Dr. Hung and his staff found my medical issue right away and scheduled my surgery as soon as possible to remove my Gall bladder. Everyone associated with this office is great to work with. They really seem to care about you as a person. They take time to listen and they provide options if possible to help. I HIGHLY RECOMMEND SURGICAL ASSOCIATES, PC. Dr. Hung has performed several hernia repair surgeries on me and done a wonderful job. I highly recommend him and I would never go to anyone else! Dr. Hung and his staff are extremely professional, caring and empathetic! Being an overweight teen then into young adulthood I was miserable and unhealthy. Starting at 218# I reached out to Dr. Hung and his staff at Surgical Associates in Lincoln, Ne. Dr Hung and his team recommended that I have the Lap band placed around my stomach in 2005 to aid in weightloss and it was a huge success! I dropped weight immediately! Over 70 pounds my first year! I regained my confidence and beauty! I highly recommend Surgical Associates! Big Thank you to them! Plain and simply Dr Hung saved my life. He took my case when another surgeon refused. He gave my family hope and kept positive when many didn’t. Dr Oskar was also excellent. He got me thru a very dark time by his kindness and made me want to go on. Dr. Hung and his PA were called about my medical emergency in the middle of the night. Dr. Hung and his PA arrived at the ER very quickly and it was obvious that he had already gotten things in motion for my emergency surgery. I presented with a fairly rare condition and it was diagnosed quickly. Dr. Hung performed a three-hour difficult surgery and did an excellent job. I had no complications from the surgery and I recovered very well. Dr. Hung and his PA came to see me every day in the hospital. They were caring and I felt that they answered any questions I had. My two post-operative visits were excellent. I was seen on time and everyone in the office was professional and very friendly. Dr. Hung spent as much time as my husband I needed to answer questions. I felt that the care was just outstanding. Dr. Hung’s PA and his nurse are both excellent. I have recovered beautifully from a very difficult surgery. I honestly feel that Dr. Hung quite literally saved my life. I will be forever grateful for his expertise and caring manner during this very difficult time. I would recommend Dr. Hung and his office staff without question. Dr. Hung exhibits excellent surgical skills and a delightful bedside manner. As a healthcare professional myself I tend to have very high expectations of medical practitioners and I must say I have felt extremely pleased and truly blessed to have found a surgeon who not only displays the utmost of excellence in surgical skills but also has a wonderful bedside manner. It is without hesitation that I wholeheartedly recommend Dr. Hung to my family, friends and patients. Also, his nurse Lisa is simply amazing! She is kind-hearted, a great encourager and has a charming personality! Behind every good surgeon is a GREAT nurse! I saw Dr. Jobst the summer of 2013. He performed emergency surgery, was very thorough in his description of my medical issues, and was extremely thoughtful and helpful throughout my whole ordeal. After I had some more complications, he stayed with me throughout my whole medical proceedings and was a rock throughout the whole experience. I would recommend this doctor to anyone and would go back to see him again! He is a very skilled and friendly doctor that anybody would be lucky to have. I had rectal cancer — If you are looking for a doctor that is going to tell you like it is. [from the heart] Dr. Michael Jobst is that kind of Doctor. Yes –he is a busy doctor—but I don’t mind waiting for the best. His nurse is very kind and if I had a problem–she always called me back with an answer. I went to see Dr. Taddeucci about an umbilical hernia which I have had for years. In a matter of minutes, I was set to ease about the procedure. After the surgery, I noticed a great difference and things were back to the way they were before I had the hernia. Two weeks later healed up. Cannot tell anything had been done. Highly recommend. Dr. Krier is amazing. She took time to explain my diagnosis and treatment and all of my options. Dr. Krier and her staff make you feel comfortable and are experts! I would never hesitate to send one of my family members to her for care! Dr. Krier is an awesome doctor who takes a potential uncomfortable situation and makes it bearable. She is friendly, takes her time to visit with you and make you feel comfortable. I highly recommend her and will definitely return when future problems arise. Very good colonoscopy experience with a female surgeon! Many insurance plans accepted and several options for location of procedure. Dr. Krier was exceptional from my very first appointment, diagnosis, my surgery and follow-up. I would recommend her to any of my friends and family. She took time with me, had a great bedside manner and gave overall outstanding care. THANKFUL TO HAVE A NEW LIFE! What a relief to find Dr. Krier! I had had an ineffective surgery by a different surgeon, thus when Dr. Krier informed me of the correction needed, I was overwhelmed with the severity, yet grateful for her expertise! She was straight-forward about the recovery difficulty level, obviously knowledgeable and experienced, and answered my questions in a precise manner, all of which gave a sense of comfort. After surgery when I had questions they were answered promptly. I recently saw Dr. Krier for a second time, different reason. The office got me in the same day I called. Dr. Krier and her PA were professional, explained everything, answered questions and gave me different options for treatment. They were polite, respectful and I would definitely return and refer others. My experience pre and post surgery was very positive. Dr Norris explained the procedure thoroughly and called me personally after to explain pathology results and to inquire of my well being. At follow up for suture removal he reviewed the pathology results again and provided me a copy. Very caring and attentive. Dr. Taddeucci was not only professional but also compassionate. He did an excellent job and made me feel very relaxed about the procedure. If I ever need another surgery, I would make sure that I requested him. I went to see Dr. Taddeucci for an umbilical hernia, which I have had for years. In a matter of minutes, I was set to ease about the procedure. After the surgery, I noticed a great difference and things were back to the way they were before I had the hernia. Two weeks later healed up. Cannot tell anything had been done. Highly recommend Dr. Taddeucci. I found Dr. Norris to be very caring and shows great concern for his patients. Explains your condition completely and what his approach to surgery will be. I highly recommend Dr. Norris. Professional, courteous and responsive. And most importantly, extensive and proficient knowledgeable and experience within his field(s) of specialization. Nothing but great remarks regarding my experience with Dr. Hung. I highly recommend Dr. Hung. He is an excellent technical surgeon and is efficient in his pre and post-surgical visits. I underwent a Nissen Fundoplication and had absolutely no problems with the surgery or the recovery. His nursing and office staff are also caring, compassionate and efficient. Dr. Hung is an excellent surgeon and I had excellent results from my surgery. I would recommend him to anyone. He was very pleasant and easy to talk to. Dr. Hung is an excellent surgeon. His PA, Oscar and his office nurse Lisa were so kind and knowledgeable. I would highly recommend Dr. Hung. Dr. Hung answered all my questions and went through a process of elimination for me to make sure I needed surgery. Him and his PA Oscar are amazing and have the best bedside manner for taking care of patients. If I had a reason for his care again I would! Highly recommended!! 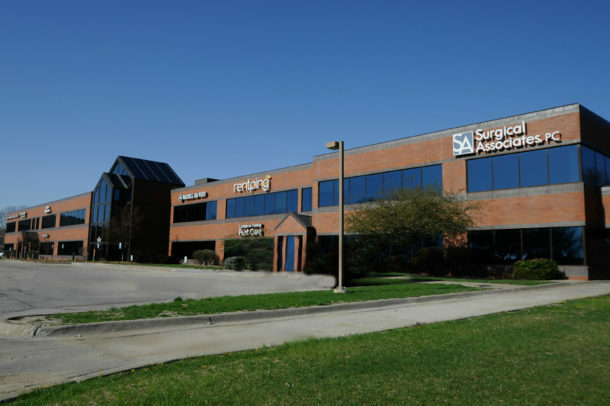 My care with Dr. Hung and Surgical Associates, P.C. in general was excellent. Dr. Hung and his staff, Oscar and Lisa, were all very professional, and straight to the point. They all introduced themselves, explained their roles in my care, and from there, told me what to expect. The surgery went very smoothly, and I healed quickly. I had no bruising, and my pain was minimal. Everyone was friendly, and I was in and out, with all of my questions answered, quickly. Dr. Hung was an excellent doctor for removing my gallbladder. He was compassionate, caring and very pleasant to deal with. I would highly recommend him to anyone needing any kind of gastrointestinal procedure. I have had two surgeries with Dr. Hung, and was beyond impressed both times. Being an RN/Legal Nurse Consultant, I’m probably a little more picky/astute than many, so that’s saying something! He takes time to listen to your situation and needs, allows questions, gives specific instructions and makes sure you are well prepared before and after. His skills are top notch and I breezed through both procedures with no issues. His nurse Lisa is just as impressive! Highly recommended. I had never had any significant surgery of any type, Dr. Hung and his staff were tremendous! They all put me at ease from the moment I arrived, taking the time to explain and follow up. Definitely recommend Dr. Hung and his group if you need any type of general surgery! Dr. Hung saved my life with a very serious emergency surgery. My condition was a very rare case and life threatening. I highly recommend Dr Hung. He is an exceptional surgeon. Dr Hung is the surgeon you want. Thank you from the bottom of my heart, Dr Hung! Dr. Hung is very professional, yet also personable. He took his time explaining what he was going to do during the operation, and was in no hurry during my post operation appointment. He was very easy to talk to and was very pleasant. I would recommend Dr. Hung to anyone. As a healthcare consultant myself, I’m very conscientious about proper protocols and standards of care for my situations. I have had two operations with Dr. Hung and can assure you he adheres to the highest! He had no idea I was a nurse and gave considerable time assessing my situations, answering questions, and making sure I understood instructions. His skills are top notch as well, and I breezed through my procedures and recoveries. Every step of my care was complete, easy and low stress because of the thoroughness of Dr. Hung and his office staff (especially his nurse Lisa; she is PRICELESS). I travel 2 1/2 hours to see him although I have capable, good surgeons here. But why not have the BEST? Highly recommended! My procedure could not have gone better. Dr Fitzke and his staff were absolutely SUPER. Well Done! and THANK YOU! Office was easy to locate. Friendly knowledgeable staff. Dr. Jobst came to exam room shortly after I entered to room. Diagnosed my problem and explained the procedure needed to correct it. Dr. worked with my scheduled for surgery given me choices for the day on which it was done. During recovery at home his staff called to check on my progress. A call to the office was returned in a short time. I give the office and Dr Jobst 5 stars. Dr. Jobst and his staff were fantastic throughout my whole cancer journey. Dr. J took the time with me to ensure I understood everything that was going to happen. If I had questions or issue someone always got back to me in a timely manner. Dr. J and his associates have fantastic bedside manners and truly care about their patients. Dr. Jobst saved my life. I have the utmost respect for him and he has the kindest bedside manner. He took care of me better than I could ever have imagined and always kept me informed what was going on. He never left me in the dark or confused. He used words I could understand and explained what was going to happen. Today, two and a half years later, I am alive and thriving because he went in after the cancer and he got it all! My cancer is gone! And my oncologist agrees!!! Dr Taddeucci has a great bedside manner and is very sympathetic to the plight of those who struggle with obesity and the health issues associated with it. Just two days after surgery I was pain free. She was my surgeon that took out part of my colon in 2017 for colon cancer and I have been impressed with her every time I have met with her. Very happy with the procedure Dr. Krier performed on me. I have had rectal cancer surgery, then ostomy takedown surgery from Dr. Krier. She and her staff have given me the best outcome possible. I am in better health than before I got sick! I am extremely grateful. I’ve been a patient of Dr. Krier’s for over 7 years. She’s one of the most caring, compassionate and understanding physicians I’ve ever met. She goes above and beyond and takes the extra time to listen to her patients. I have been cancer free since 2016 and owe a great part of that to her care and expertise. Thank you for being an important part of my healthcare team! We are in our new space!